Prevention — Know Asbestos, Think Prevention. Do keep activities to a minimum in any areas having damaged material that may contain asbestos, including limiting children's access to any materials that may contain asbestos. Don't saw, sand, scrape, or drill holes in asbestos-containing materials. Don't use abrasive pads or brushes on power strippers to strip wax from asbestos flooring. Never use a power stripper on flooring that may contain asbestos. Don't sand or try to level asbestos flooring or its backing. When asbestos flooring needs replacing install new floor covering over it, if possible. Don't track material that could contain asbestos through the house. If you cannot avoid walking through the area, have it cleaned with a wet mop. If the material is from a damaged area or if a large area must be cleaned, call an asbestos professional. 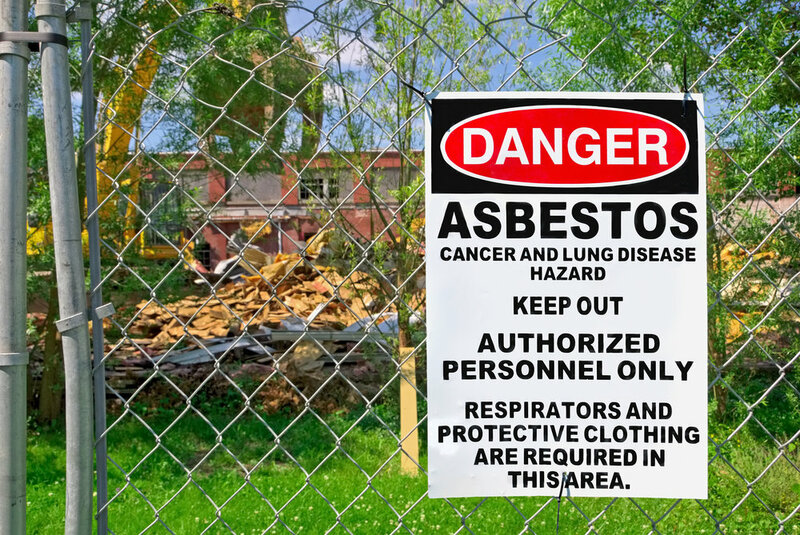 According to the EPA, there are two main types of accredited asbestos professionals that can be hired to handle asbestos-containing material: Asbestos Inspectors & Asbestos Contractors. Asbestos Contractors. These professionals can repair or remove asbestos materials.